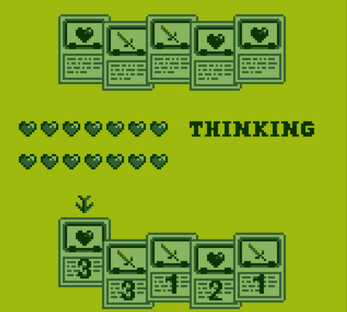 Game developed for GBJam 5. 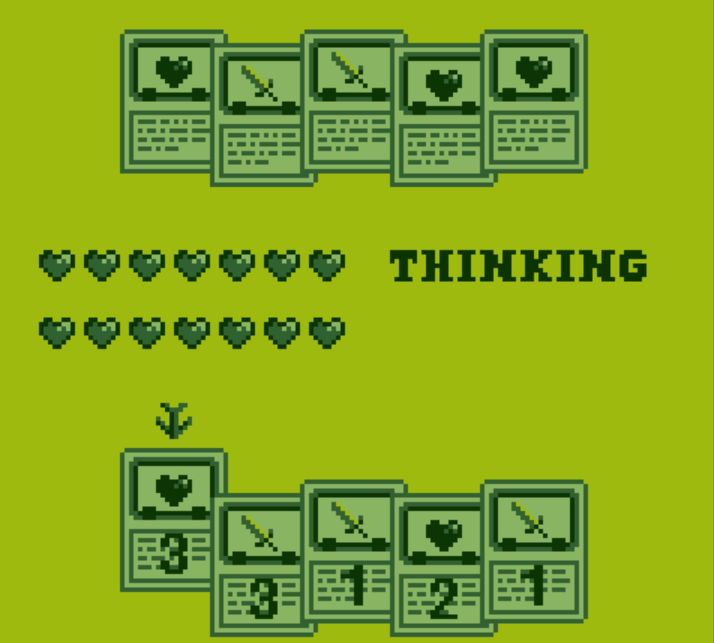 Gameplay is really simple, and balance is probably out of whack, but gameboy games are fun to make! ]32 and 64 bit Windows builds only, unzip and simply run the .exe file. I've had some issues with people not being able to run the game, so if you're on a 64-bit system try both versions if you have problems. WASD to move cursor, J to toggle info panel, K to select card.